Categories: Clearance Items, DMX Lighting Controllers, Power & Control. The Eos is ETC’s flagship lighting control desk, with powerful hardware, easy-to-navigate software and right tools to realize art within tight timetable of professional productions. Eos speaks language of light, with no complicated command syntax to get in way of design. Eos features large-format, articulating multitouch displays with substantial programming surface. 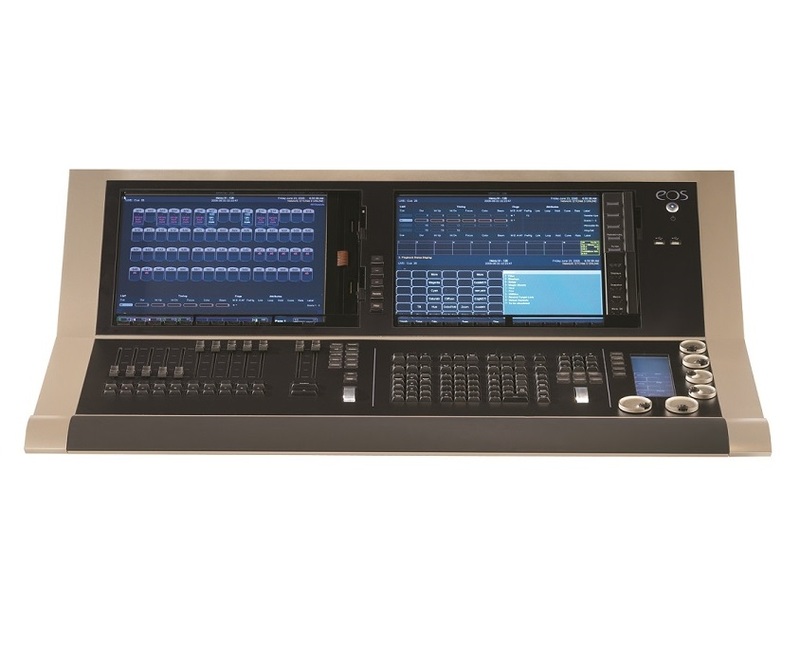 It also offers dedicated multitouch encoder display, 20 user-definable buttons, a backlit keyboard, motorized faders, multiple USB and video ports everything to make experience of designing and programming breeze. Desk’s common-sense syntax is consistent and predictable, so anyone novices and professionals alike can quickly get down to business. With Eos, work from either an abstract concept of a design to a straightforward command sequence, thinking less about the mechanics of system and more about look of show. The command line is fully integrated with direct selects and magic sheets, allowing to work seamlessly from keypad and touchscreen controls. What you need most quickly is immediately available, and all supporting information (discrete timing, absolute data, source of current data) is found fast and easily. Necessary features aren’t buried under layers, is right within reach. When combine Eos’ solid-state hard drive with networked backups, get the most reliable lighting system possible. There is no need to install expensive switches, because Eos uses 10/100MB networks. Designers no longer have to sacrifice their needs for those of programmers, because each device on an Eos system can have a discrete workspace. Partitioned control provides a safe and effective method for multiple programmers to build content into a show file. Designers, programmers and electricians must work across venue types with equal ease, and desk must, too.